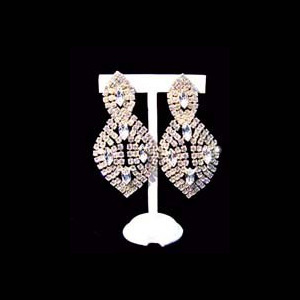 Club earrings. 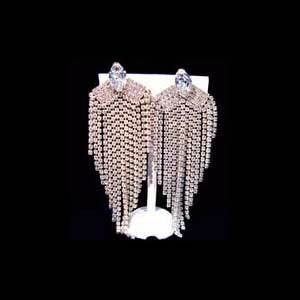 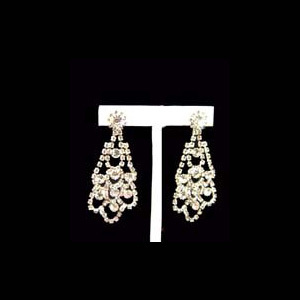 These earrings are made of diamante chain set with 3mm crystal stones. 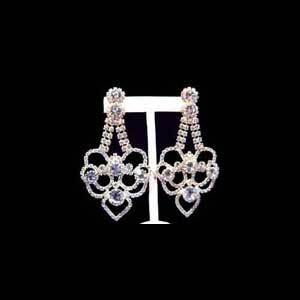 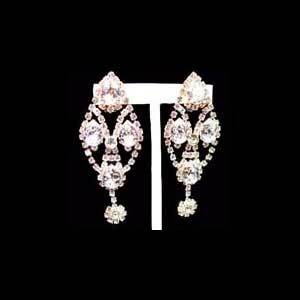 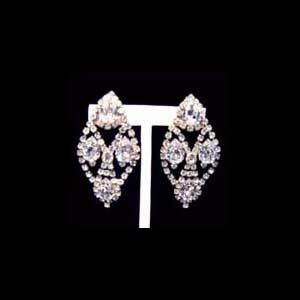 The top of the earring has a rosette with a 6mm crystal stone in the centre set into a tiffany setting. 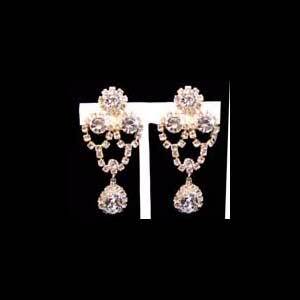 The drop is made like a flower which has 8mm, 5mm and 14mm round crystal stones.